LAS VEGAS — CES 2019 came to a close with some 180,000 attendees checking out the latest tech innovations from more than 4,500 exhibitors, and keynotes from AT&T Communications, IBM, LG and Verizon. 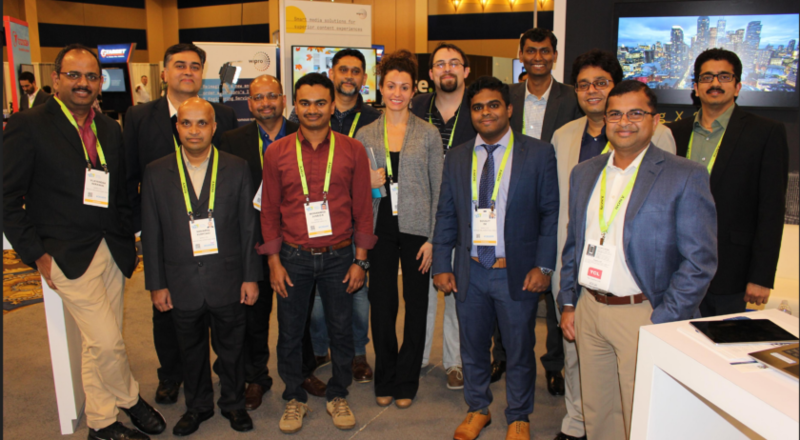 8K sets, AI applications and the 5G ecosystem proved to be the biggest newsmakers, both on the convention show floors, and among the outlying exhibit spaces spread across Las Vegas. • Matt Smith, executive director of business development for Comcast Technology Solutions, said his company spent CES working with both current and potential customers on assisting them with navigating today’s live channel complexities. “Direct to consumer is replacing the definition of OTT,” he said, echoing a trend other members of the Media & Entertainment Services Alliance (MESA) shared during CES. The content distribution business has more technology challenges than ever before, Smith said, requiring market-ready products and services that have to cover everything from the use of public cloud to secure transport, and it needs to be done as painlessly as possible. That also includes a higher emphasis on metadata and making sure its included at every stage of the supply chain. “IoT tells you what’s really happening when you need to connect what’s anticipated, say within a workforce, and what’s actually occurred,” she said, adding that the company is rolling out various tools to help companies manage problems along these lines. 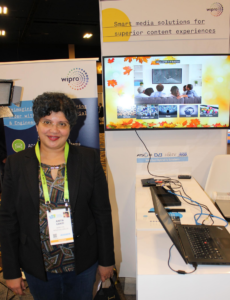 Additionally, Wipro shared at CES how its looking ahead at ATSC 3.0, the next-gen, over-the-air broadcast standard, with a technology stack that serves as a middleware platform, and can be loaded on any set-top. “ATSC 3.0 can really help optimize the [broadcast] spectrum, use it as fully as possible,” she said. 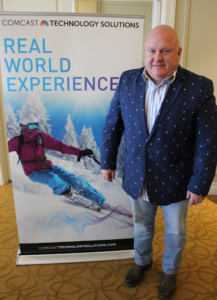 • The IBC and NAB Shows may have more importance for a media tech company like RSG Media, but Theodore Garcia, EVP of client success for the firm, found plenty of customer stories to tell at CES as well. TV networks, studios, OTT and VOD service providers, distributors, and brand licensors — all RSG clients — are using CES to discover better ways to improve their supply chain performance, he added.